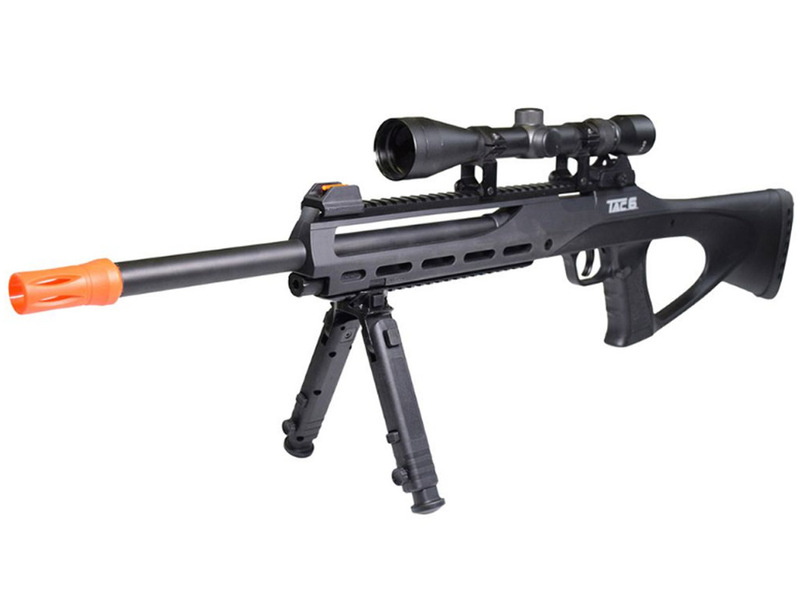 ASG TAC-6 CO2 Airsoft Sniper Rifle | ReplicaAirguns.ca | Easter Weekend Sale! Comments: Stay battle-ready with the TAC-6 CO2 Airsoft Sniper Rifle. 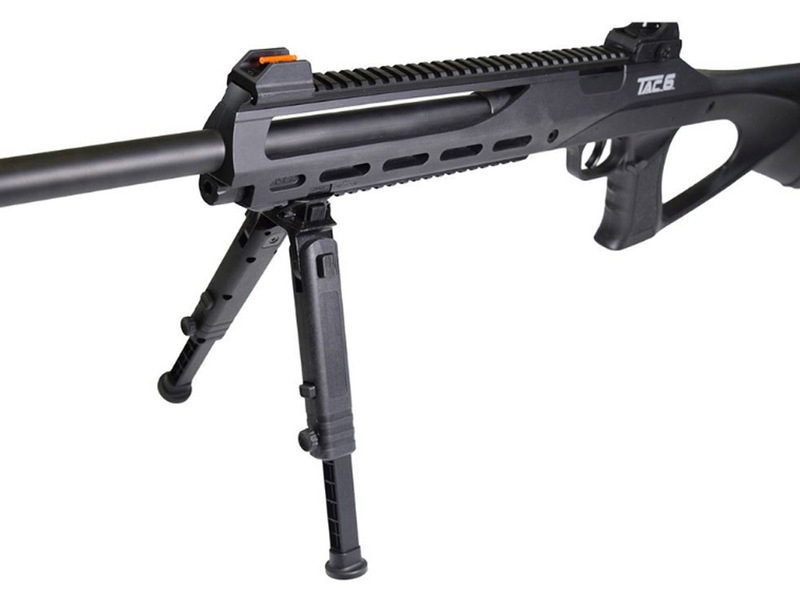 This lightweight polymer weapon features a stick-type magazine for fast reloads. 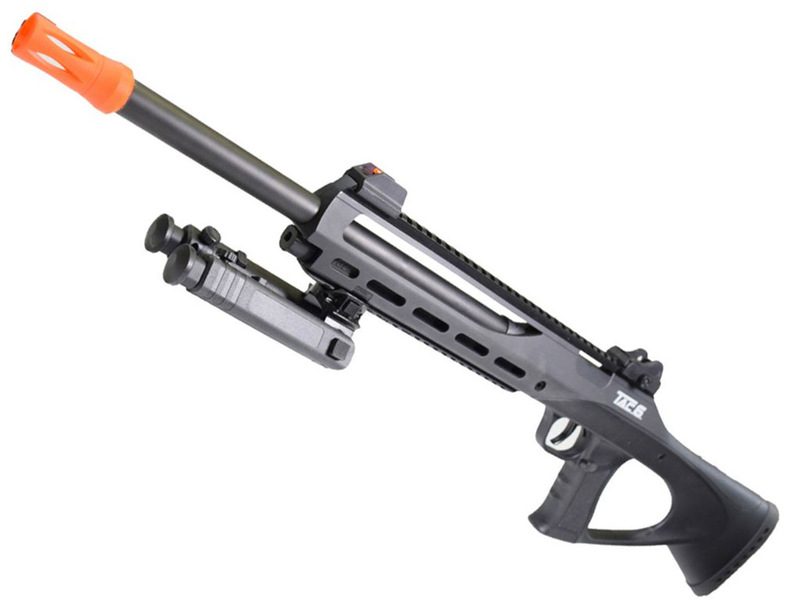 Airsoft BBs shoot out of the barrel at a powerful 440 FPS with accuracy and precision. In addition, there are accessory rails on top and bottom, and an integrated laser under the barrel. An adjustable bipod and a pair of removable fixed sights are also included.